This level has medium difficulty. 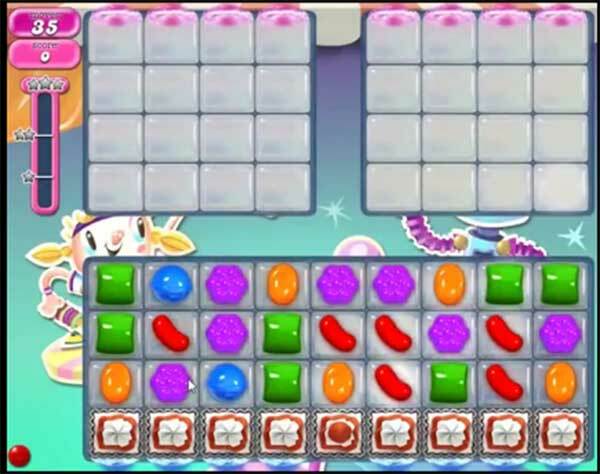 For this level try to play from bottom part of the board where more candies and try to make striped candy. Combine striped candy with colorbomb or wrapped candy to break the jellies that are in other part of the board. Or play near to blockers to break them to shuffle candies to the top part of the board. Well, cc Ask me to give up, oké so I will, What a sh** level. Hope you have enough players, But I can’t believe it, too many People h ook off playing this game. There are so many other fynny, not annoying games and cc still think they are the best! With which game? Believe me, this level is not to get, another player stops?? ?